Be part of a community of multidisciplinary researchers, with solid internationally recognized expertise. Do your PhD in a rigorous milieu, renowned for its resources and the quality of support available for junior researchers. This specialization offers a variety of high-level courses in finance and mathematics. The mathematics courses are recognized by the Institut des sciences mathématiques (ISM) and may be taken by PhD in mathematics students at the main universities in the region. 6 of the 15 graduates from this specialization between 2006 and 2016 hold positions as professors at universities in Canada or the United States. The others are working as executives or consultants for leading firms or investment funds, e.g. Deloitte, KPMG, PSP Investment and the Abu Dhabi Investment Authority. 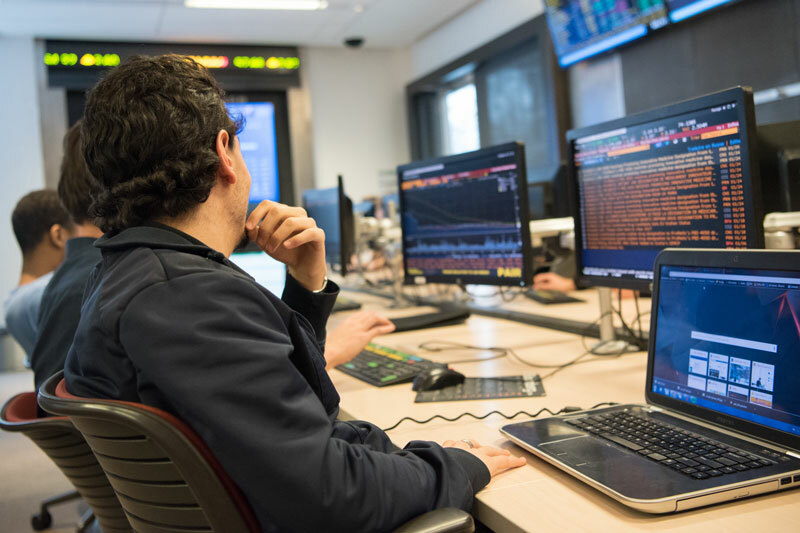 PhD students in this specialization benefit from the best possible infrastructure, allowing them to carry out advanced research in financial engineering. 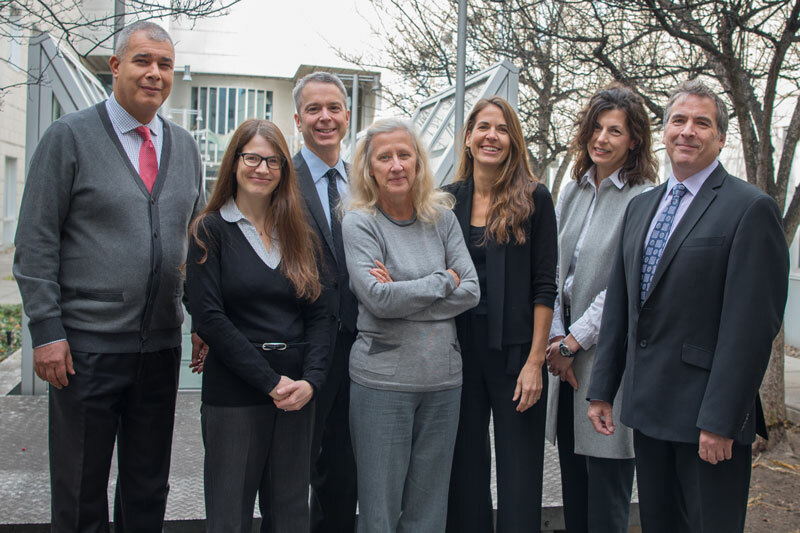 Left to right: Hatem Ben Ameur, Chantal Labbé, Michel Denault, Michèle Breton, Geneviève Gauthier, Debbie Dupuis and Bruno Rémillard. Left to right: Simon van Norden, Pascale Valery, Jean-Guy Simonato, Nicolas Papageorgiou, Pascal François and Philippe d’Astous. Absent when the photo was taken: Christian Dorion and Georges Dionne. 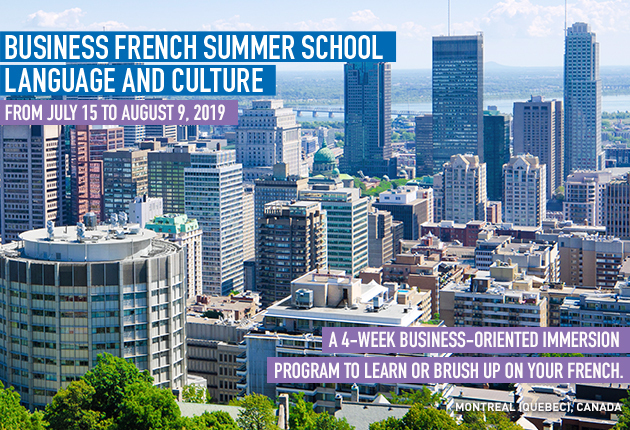 HEC Montréal offers doctoral students in financial engineering an exceptional scientific milieu, with a research chair and two professorships. All the members of the Decision Sciences group have individual grants from the Natural Sciences and Engineering Research Council of Canada (NSERC) .